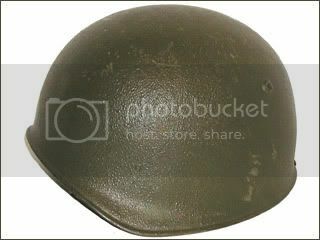 This model Swiss helmet, which is similar in shape to the German M18 helmet was first introduced in 1918 and then modified in 1940. 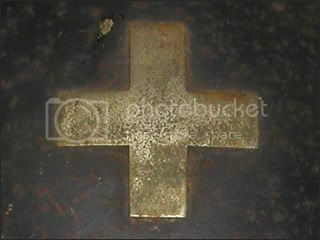 On the front of this example is Federal Silver Cross. The Swiss Model 1918 was modified in 1944 with a new granular paint mixed with sawdust. 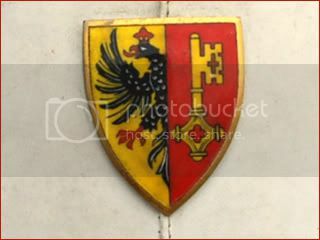 This style paint remained in use with the helmet, until it was replaced in the 1970s. 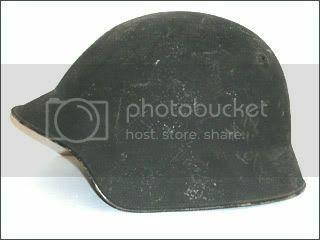 This helmet also features the final version helmet liner. 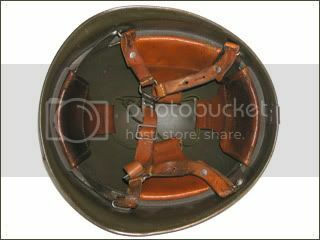 This model Swiss helmet was developed in 1971 but was not fully introduced to the Swiss army until 1979. 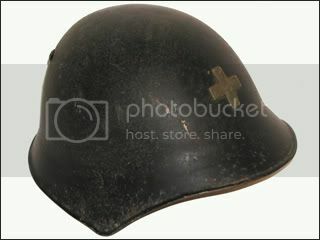 Despite numerous claims this is not a Swiss paratrooper helmet. 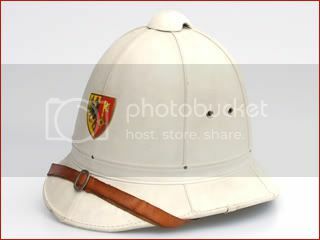 Even in the mountains, there seems to be a use for sun helmets as this Swiss paramilitary police helmet suggests.